Functional medicine is personalized medicine that deals with primary prevention and underlying causes instead of symptoms for chronic illness. 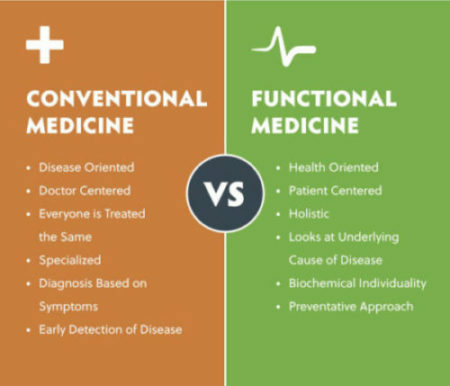 Evaluating organ and systems functions rather than looking for a specific disease is a basic principle of functional medicine. Functional medicine lab tests may examine blood, hair, stool, urine, or saliva. These tests, conducted by the Functional Medical Practitioner check your nutritional status, digestive function, allergies, detoxification ability and more.